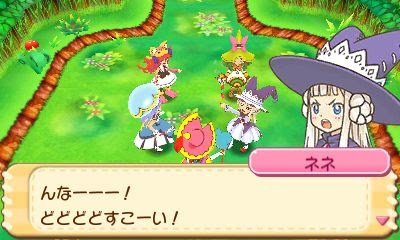 Aksys Games and Nippon Columbia Co., Ltd have announced Moco Moco Friends will be coming to the Nintendo 3DS in Fall 2015. 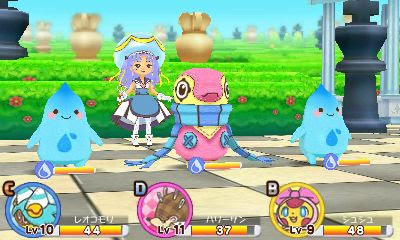 This RPG features plenty of cuddly monsters to help you become the ultimate Moppet Master. Players can battle rivals, scavenge items, go through massive dungeons, evolve Moppet monsters, and so much more. Battle and Evolve – Lead your Moppets to victory in turn-based battles! Fight, befriend and evolve Moppets on your quest to banish evil from Dreamtopia! “Gotta friend em’ all!” – 120 types of Moppet monsters to collect! Become friends with the Moppets and aim to be the greatest Moppet Master! Evolve your Moppets using fantastical items found in Dreamtopia. Loads of Features! – Help out friends in town and clear side quests! Teleport to dungeons using the town portal/gate. The Garden allows the player to grow crops or collect items. 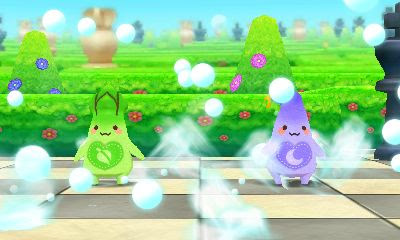 The Garden runs in real-time meaning that the crops will continue to grow even when the Nintendo 3DS is off! Aksys GamesLtd.Moco Moco FriendsNippon Columbia Co.